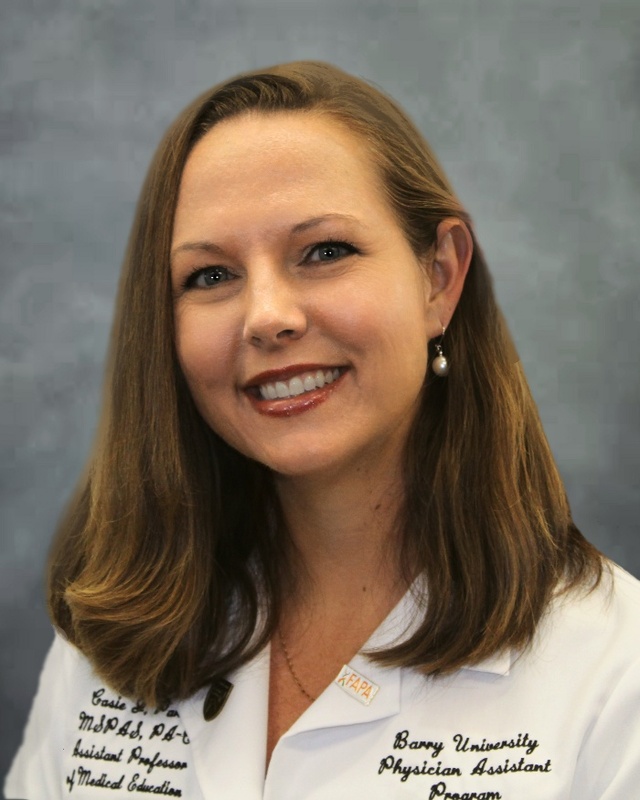 Casie Parker, MSPAS, PA-C is an Assistant Professor of Medical Education with the Physician Assistant program who graduated with her Bachelor’s degree in Human Development with honors from Eckerd College. She then went on to earn her Master of Science in Physician Assistant Studies from South University where she received the Humanitarian of the Year award. In addition, she was the recipient of the Florida Academy of Physician Assistants Family Practice Scholarship and has served as the regional liaison for the organization.